The club us es the British Canoeing (BC) star awards as the basis for club coaching and progression within the sport. We do not issue formal qualifications ourselves but can direct you towards external coaches who can. This is the club entry course for people with limited or no experience of kayaking. You will be taught the basics of kayaking; including manoeuvring your boat, key strokes, safety on the water. The course takes place on flat water or in the pool and is based on the BC 1 star award. Having developed your skills on flat water we now move you onto moving water. Here you will learn how to move safely in and out of the flow, navigate simple rapids and safety procedures on white water. This course is a prerequisite to all club trips, for those with no or limited experience of white water. The club is dependent on more experienced members to guide you safely down the river and give you a good day out. To prepare our river leads and seconds we employ external coaches for a weekend in prior to the start of every winter season. The course is subsidised by the club and directed at people who are willing to lead and provide cover on club trips throughout the coming year. To attend you will need to be self sufficient on grade 3 water and have at least 3 star skills. When you attend pool or river sessions there are plenty of experienced paddlers to help you develop your white water skills, from basics like forward paddling to rolling and beyond. On day and weekend trips you will develop your river running skills and experience navigating the river as part of a guided group. For those wanting to develop their river leading or coaching there are plenty of opportunities to lead groups independently or under the guidance of an experienced river lead or coach. Having fun and an enjoyable day out on the river is what the club is all about. Safety on the river is everyone’s responsibility. To ensure you are an effective member of the group we encourage all members to attend Safety & Rescue and First Aid courses either run by the club or by a recognised coach. This is a hands on practical two day course essential for anyone running white water. The course is suitable for beginners and experienced paddlers alike. On the course you will learn how to stay safe in the river and develop an awareness of safety in a moving water environment. You will be taught personal survival skills, throwline rescue techniques and clean line principles. You will also develop an understanding of the structure and protocols for a rescue situation. We recommend all paddlers undertake first aid training. We recommend a BC approved course, ideally aimed at kayakers or an outdoor environment. Download the star award syllabus and notes to guide to show you the skills you need to develop as your kayaking progresses. The BC 2 star is an improvement award that helps paddlers develop fundamental paddlesport skills on flat water. The emphasis is on gaining a breadth of experience, creating the desired movement of the boat and developing an understanding into how the paddle, boat and water interact. This provides you with the skills to be an effective member of a group on moving water up to grade 2. 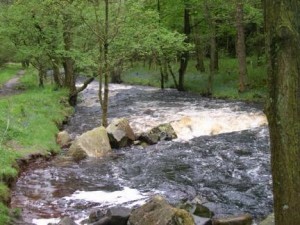 The skills learnt here develop your independence on the river and core river running skills. This is a leadership award designed to develop your own paddling skills and the ability to lead groups. This award is designed to develop your personal, leadership and safety skills required to lead groups (in formal and informal settings) in discipline specific advanced environments. If you want or need a formal qualification there are many excellent coaches in the area. Details of formal courses can be found on the British Canoeing webpage. Details of other courses can be found on UK Rivers Guidebook. We have experience of a number of coaches and training providers that we can recommend.